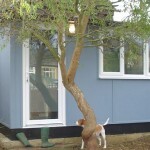 Building a room in the garden? The Classic Trio boasts the perfect blend of a discrete, unobtrusive exterior with a surprisingly large and versatile interior. 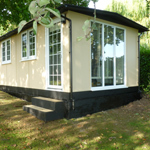 This warm and relaxed room enjoys impressive insulation, full double glazing, integral electrics and is carpeted as standard. 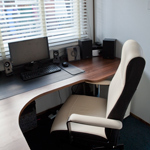 The Trio makes an attractive home office or studio. 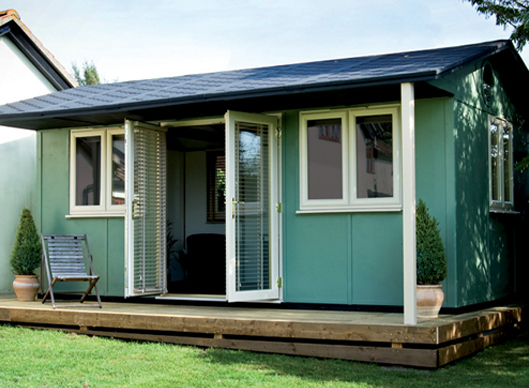 With high specification construction and security features the Trio offers real peace of mind ownership. 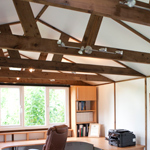 Enjoying all the benefits of TuSC construction, the Trio is complemented by a white silk finish to the interior walls; this is coupled with the perfect balance of timber beads and visible rafters in the wonderful vaulted ceiling. 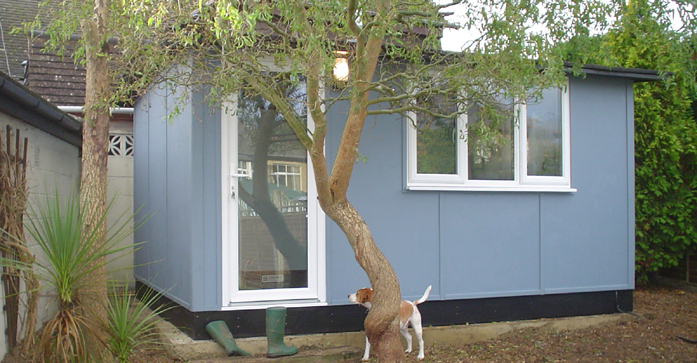 There are so many lovely features you have a building that blends into the garden so well. 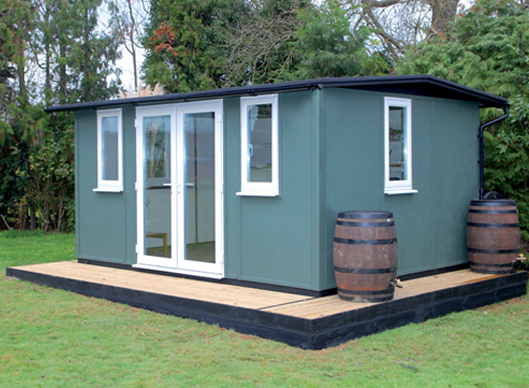 There’s a reassuring chunkiness to all Smart Garden Offices, that’s because they are designed and manufactured for purpose. 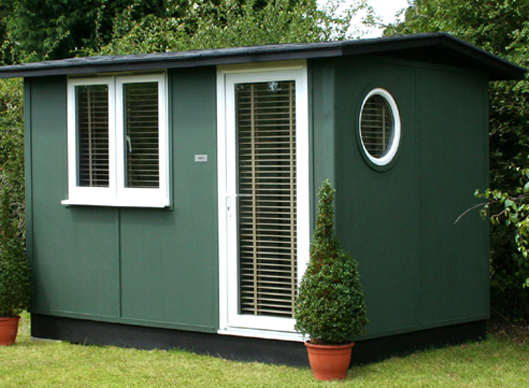 Whether you use your Trio as an office, gym, studio or den you can enjoy yours all day, every day, whatever the weather. The Trio has an interior worth boasting about. 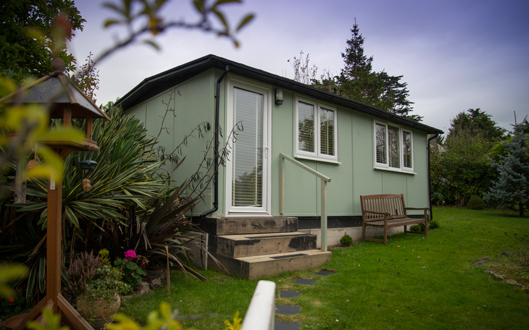 Proving ample room for a three person office, home gym, art studio, craft room, library or retreat, it has all the space you need to create your perfect room. 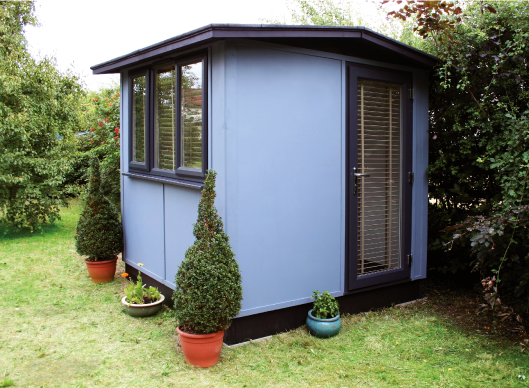 Our Smart Garden Office Furniture is designed to work in partnership with the Room, handmade and of the highest quality, our furniture adds the finishing touch to your Trio. Whether it’s the Versadesk or the Booknook, both will work perfectly in the Trio. 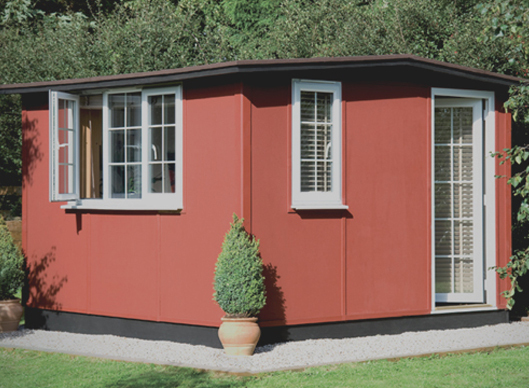 With the ability to customise the positioning of windows and doors, plus light fittings, and carpet colour, your Smart Trio will very quickly feel a like a home from home. 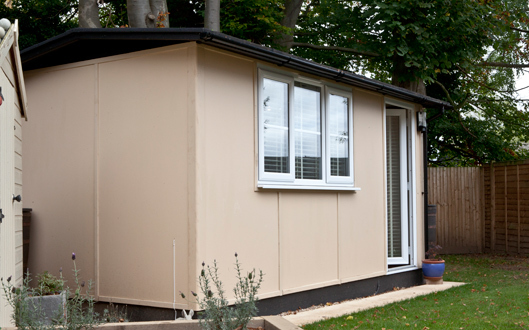 As with all of our Smart Rooms, they take minimal time to install, yet are still extra robust. 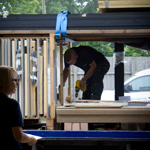 We’s on hand to guide you through the process too, our expert team will install the building and our customer care team are on hand to make sure everything goes to plan. 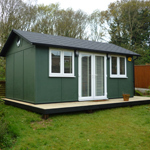 If it’s needed (which in most cases it’s not) we even manage your planning permission at no extra cost, ensuring this project in a enjoyable and exciting one.